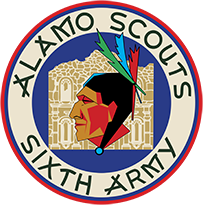 Scholarship Guidelines | Alamo Scouts Historical Foundation, Inc.
1. Applicants will submit an original digital presentation (short) on the contribution of the U.S. Army in the Pacific Theater during World War II. This may include actions undertaken by individual units or individual servicemen. 2. Applicants must appear in and deliver a presentation between 8 and 15 minutes in length. 3. Applicants are encouraged to incorporate visual aids in their presentation. 4. Applicants may include up to three minutes of a personal interview with a veteran from the event described. The veteran must identify on video his/her name, unit, and direct participation and/or knowledge of the event. 6. Submissions will be accepted through the online portal ONLY between Oct 1, 2017 and Aug 1, 2018, or until the first 25 entries are received. 7. Incomplete submissions will not be considered. 8. Winning entry will be announced on or before Aug 30, 2018. 9. Decisions of the judges are final. 1. Applicants must provide proof of current U.S. citizenship and submit a current photograph. 2. Applicants must be a current high school senior and be eligible for graduation in either May or June 2018. 3. Applicants must enroll and provide proof of enrollment as a full-time student at an accredited institution of higher education (Jr. college, college, university) during the fall semester/term of the 2018 academic year to receive the award. 4. No member of the ASHF or direct family member of any ASHF member is eligible. 5. The winning applicant consents to having their presentation displayed whole or in part on the ASHF website, Facebook, Youtube and/or other appropriate internet sites to help promote the ASHF Scholarship. 6. The scholarship will be awarded by check on or before September 10, 2018. 7. The winning applicant consents to having their photograph and/or interview appear in RECON Magazine, the official publication of the ASHF, and on the ASHF website for promotional purposes. 8. All video submissions are the property of the ASHF and will not be returned. 9. The ASHF and its members will not be held responsible for theft or misuse of any submissions. 1. Video files must be submitted in MP4 format and H.264 codec at 1920x1080p or 1280x720p. No Ultra 4K or 4K accepted. 2. Video files must be submitted via the ASHF wetransfer.com account after the applicant completely fills out the scholarship form. Click here to move to the ASHF Scholarship Application Form.